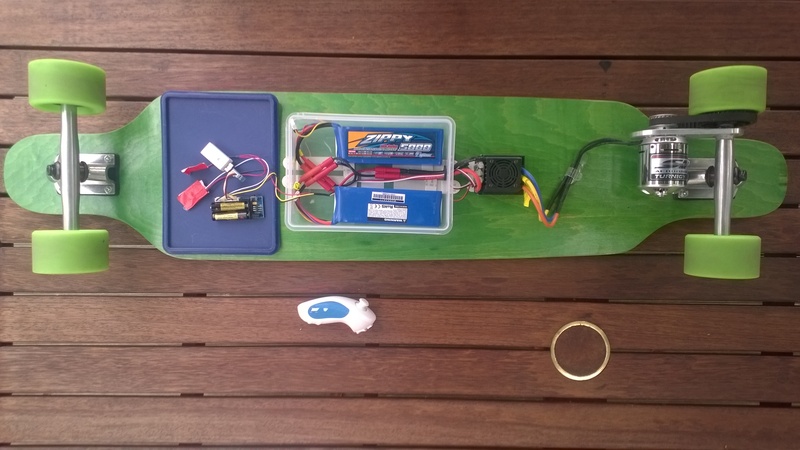 After a couple hours of riding my longboard it started making a high pitched squeak\squeal which sounded like it was coming from the brushless motor. After some investigation I found that a circlip on the end of my Turnigy Aerodrive SK3-6364-245kv Brushless motor was making the noise. 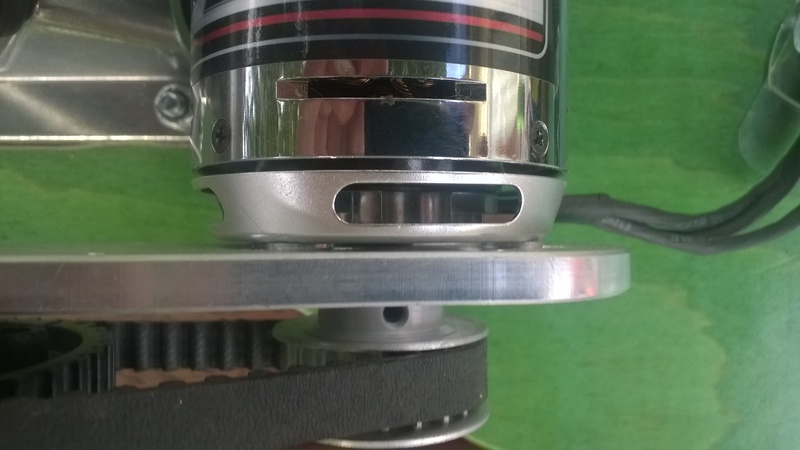 The circlip usually rotates with the shaft of the motor but the motor bracket was stopping this from happening. 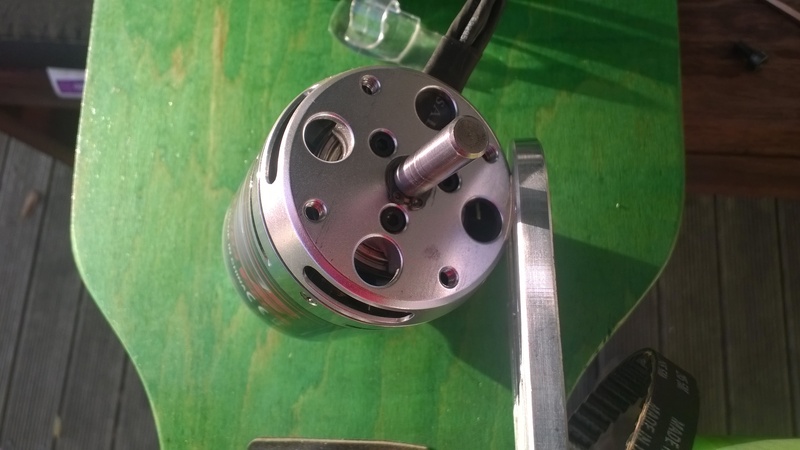 I used the DIYElectricSkateboard.com website “support chat” and spoke with Dexter the very helpful owner of DIY Electric Skateboards and he suggested trying washers on the 4 x bolts which attach the motor to the bracket. I used 4 x M4 washers and the circlip now rotates freely which appears to have fixed the problem. 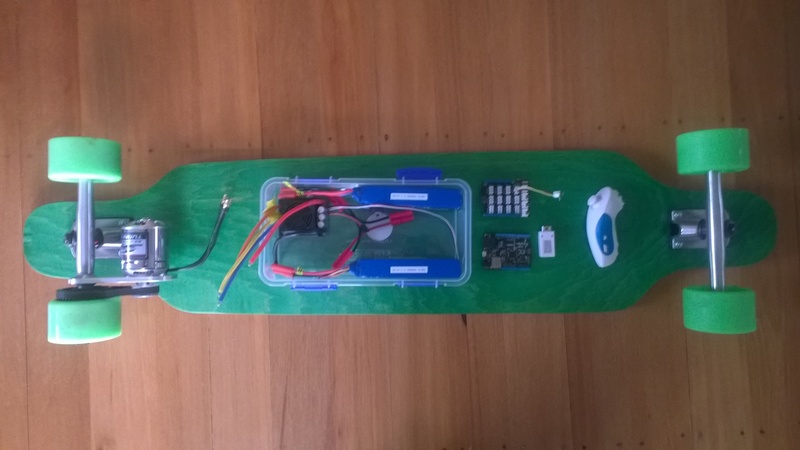 My next project an electric motor powered longboard. Initial trials of the Wireless Nunchuck have not been very positive. As the Netduino device starts the connection to the handset is dropped. Need to do some more investigation to see if I can get this to work otherwise I will have to use a wired Nunchuck.